Derrick Lanois, PhD is a native Memphian who grew up in an economically depressed area and graduated from Craigmont High School. After graduation, he attended The University of Memphis receiving his Bachelor of Arts in History with a minor in African and African American Studies. Derrick’s junior year of college proved to be a watershed moment for his life and career choices. He was initiated, passed, and raised as a Prince Hall Affiliated Freemason as he took his first African American Studies classes. The combination increased his curiosity and appetite for learning about Africana people, especially about the influence Africana fraternalism had on the Africana experience. During his undergraduate career, African American-centered courses rarely discussed any contributions and or even creation of Africana fraternalism. This piqued his curiosity to learn the who, what, when, where, how, and why of Africana fraternalism. He decided to continue his education to answer those questions and to make connections between African American history and culture. In the tradition of liberal arts, he created his own curriculum by combining African American Studies, History, and Culture under the Liberal Studies program to tailor his education for his curiosities. Derrick received a Master of Arts in Liberal Studies at The University of Memphis and his project analyzed Prince Hall Affiliated Freemasonry in Tennessee from 1870-1920. After leaving The University of Memphis, he went to Georgia State University in Atlanta, Georgia to continue his research on Africana fraternalism and Africana culture. He met two influential scholars and mentors who shaped his understanding of both—Dr. Jacqueline Rouse in History and Dr. Layli Phillips in Women’s Studies. Dr. Rouse’s research centers on women, the Civil Rights Movement, and African American organizational life and Dr. Phillips’s work centers on Womanism, culture (Hip Hop), and gender. Each perspective was added to Derrick’s research on Africana fraternalism to examine the gendered lives of fraternalism using a Womanist lens and connecting Africana fraternalism to other organizations and their Civil Rights activities. He received a PhD in History and a Graduate Certificate in Women’s Studies. On his way to completing his PhD and while teaching Africana Studies courses, Derrick asked his students, “Where can African Americans get an independent and critical voice in the media about their experiences?” The students often stated that there were no independent and critical voices for Africana people, but with that answer he asked them then, “What were they going to do about it?” He was attempting to challenge the students to think about being consumers of media, as well as challenge them to produce new media from their perspective because the digital age allows for them to be both producers and consumers. One day the students reversed the question and asked him what was he going to do about it and that sent him to thinking about a distance desire to produce documentaries. 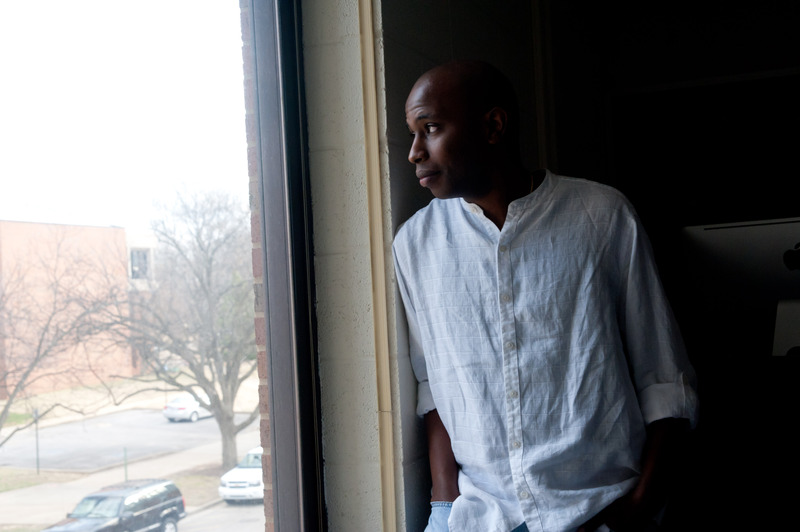 Derrick decided to pursue a second Master of Arts in Journalism because he could not continue to ask the students to do something he was unwilling to do himself and was reminded of his favorite quote from the Civil Rights era—”If not you then who? If not now then, when?” He completed his MA in Journalism from The University of Memphis specializing in new media, social media, and African Americans in the media. In October 2014, Derrick was in a life altering car accident causing him to have to take time away from his career and focus on recovery. Recovery has come to an end and Derrick has returned back to academia as a Master of Fine Arts student majoring in Documentary Expressions at The Center for the Study of Southern Culture at The University of Mississippi and as an Assistant Professor of History at Rust College.